When it comes to reality television, Bigg Boss has been one of the most popular shows in India for years. Watched by millions of viewers during its runtime, it has definitely got a huge following in the country. With 11 different seasons and one spin-off, Bigg Boss has certainly come a long way. We all have had our favorite contestants during various seasons, but the winners certainly stood out. Do you want to know what various Bigg Boss season winners are up to these days? Read on and get to know the Bigg Boss winner list and where they are now. Bigg Boss is one of the most controversial reality shows in India and is known to create tons of gossips and celebrity scoops. You can get to know about all the off-camera action by watching numerous videos on Snaptube. The app will fetch results from various sources to make sure you get the most appropriate videos about Bigg Boss. Since it is a freely available app, it won’t cost a thing to stream the content of your choice. Besides Bigg Boss, you can view all kinds of content on Snaptube for free. 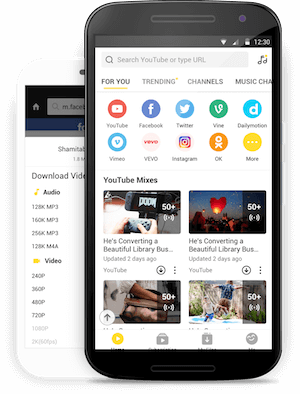 Download this amazing app on your Android device right away and stream the videos of your choice on your smartphone. The first season of Bigg Boss was originally telecasted on Sony and put the show on the map. It was hosted by Arshad Warsi and featured some of the biggest stars in the entertainment industry. 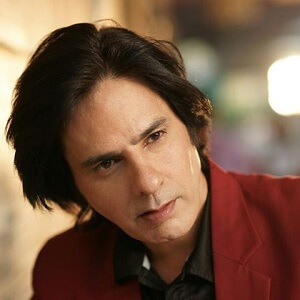 It was won by Rahul Roy, who was known in Bollywood for giving a one-time hit, Aashiqui. After his win, he worked on another project – To be or not to be. Sadly, the movie was a flop at the box office, and with it, Rahul’s idea of a comeback was dropped as well. The season 2 of Bigg Boss was quite big as it was acquired by Colors TV. As you know, it has been associated with Colors ever since. 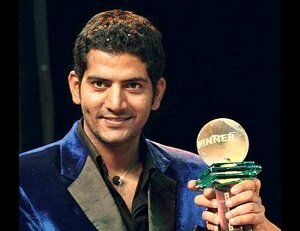 Ashutosh was already known by the viewers of reality television as we won Roadies in 2007. His Bigg Boss win landed him a few movies like Shortcut Romeo and Zila Ghaziabad. Though, he shifted his focus to television and has starred in quite a few shows after that, like Chinchpokli to China, Rahul Dulhaniya Le Jayenge, Comedy Circus, etc. It has been almost a decade now when Vindu Dara Singh won the third season of Bigg Boss. The season was quite special as it was hosted by none other than Amitabh Bachchan. After when he came into the limelight, he got supporting roles in a few movies like Son of Sardar, Famous Ho Gaya, Houseful, etc. Though, his shining career took a turn when he got involved in the IPL betting scandal. After that, we haven’t seen Vindu in any mainstream movie. According to the rumors, he is managing his self-owned chain of gyms and nutrition products now. Shweta Tiwari was already a household name as she got an immense popularly from her presence in Indian television series. The fourth season of Bigg Boss became immensely popular not only because it had huge stars, but also because it was hosted by Salman Khan (who have been associated with it ever since). After winning Bigg Boss, Shweta did a few movies and TV series as well. Though, a few years back, she took a break from the silver screen and opened her own acting school. Juhi Palmar had a career quite similar to that of Shweta Tiwari. She was already a known name by having a successful TV show, Kumkum – Ek Pyara Sa Bandhan. After winning the fifth season of Bigg Boss, she briefly appeared on a few shows as well. Later, she got married to Sachin Shroff and decided to focus on her family instead. Sadly, after 8 years of marriage, the couple is planning to get a divorce. With so much going on, it is not likely that Juhi would return to the limelight anytime soon. Known to play the iconic role of an antagonist in Indian television, Urvashi was the winner of the sixth season of Bigg Boss. To everyone’s surprise, she did a few standup comedy gigs and revealed a whole new side of hers. After a few years of her win, she decided to put her money in foreign investment and moved overseas. Gauhar was all over the news after her grand win of the seventh season of Bigg Boss. The model turned actor continued working in the industry after her win. Though, she became more selective with her projects and can still be spotted in a few movies and television shows. The eighth season of Bigg Boss has been the most entertaining and controversial season of the show so far. It even got a spin-off (Halla Bol), which was won by Gautam Gulathi in the end. His big win brought a major turn to his career as well. After that, he was offered quite a few movies and shows. The ninth season of Bigg Boss was quite special as it had a total of 20 housemates. Out of them, Prince was announced as a winner. 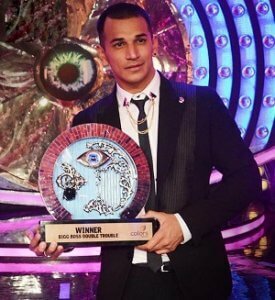 Already a winner of a few reality shows before, he bagged a regular spot in the television show Badho Bahu after this win. The season ten of Bigg Boss was filled with surprises. 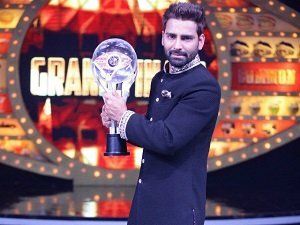 The biggest of them was the announcement of its winner, Manveer Gurjar. Without having a lot of popularity, he managed to win the reality show. He is currently working on a few projects. You can see him judging a few reality shows as well. The latest season of the Bigg Boss was won by Shilpa Shinde. She was already a popular face in the country as she has acted in a few TV shows and movies before. It was only in January 2018 when she was declared a winner of Bigg Boss season 11. After her win, she was seen in another reality show, Entertainment Ki Raat.